Is there such a thing as New Zealand cuisine? That’s a loaded question around here, one that deserves its own post. 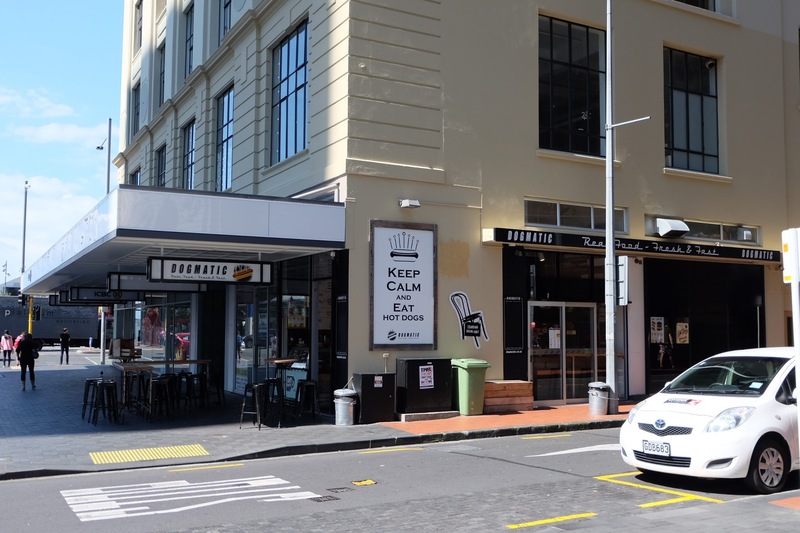 The majority of restaurants, cafes, and bars in Auckland seem to be a fairly loose fusion of British, Australian, North American, and Asian cuisine. There are dedicated regional spots, sushi, Indian food, kebabs, Italian, etc. 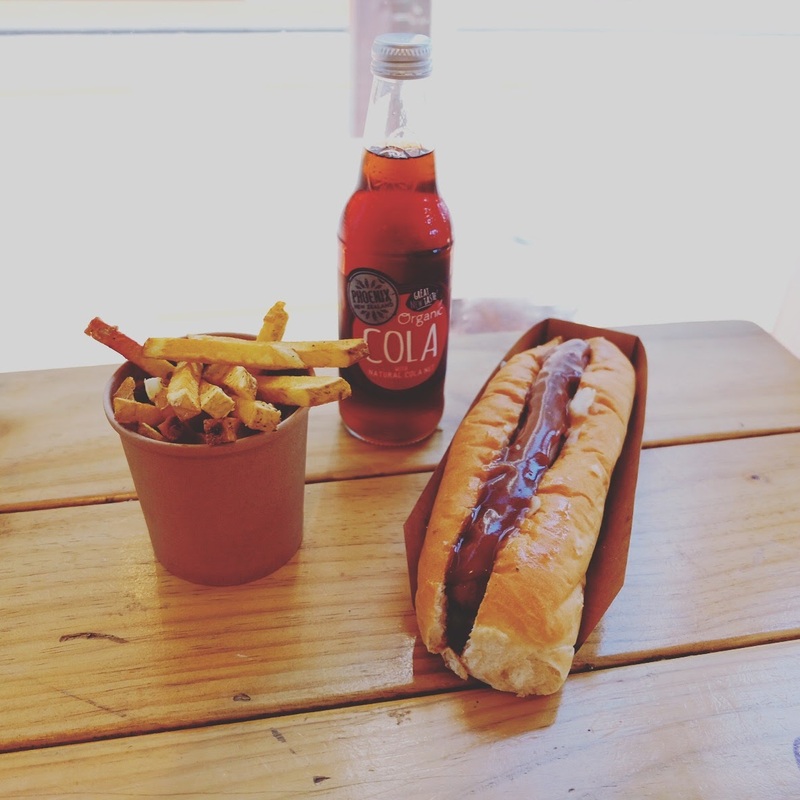 Dogmatic takes the humble hot dog and applies a bunch of world flavours to it. Located right next to the Britomart Transport hub and the Auckland Waterfront, Dogmatic is hard to miss. It’s a small space but has a bit of outdoor seating. Obviously the main focus is hot dogs but they also offer burgers, fries with various toppings, and local organic soda. I opted for “The Brit”, a beef bratwurst with horseradish mashed potatoes, mushy peas, and gravy. The bratwurst itself was quite different to any bratwurst I’ve ever had. A little salty, but not overly so. Thin and long like a European wiener (this is getting weird…). It was the perfect size for the bun, which is always good. The mashed potatoes, peas, and gravy make up the rest of the British connection. All together the flavours and textures happening here work well and it was less messy than I thought it would be. The fries were pretty average, nothing to get excited about. The Phoenix Organic Cola was nice, but a hoppy IPA would’ve been much nicer. Dogmatic has some pretty mixed reviews on your run of the mill food sites like Zomato and Trip Advisor. I think it’s better than advertised and somewhere you should check out when in Auckland.